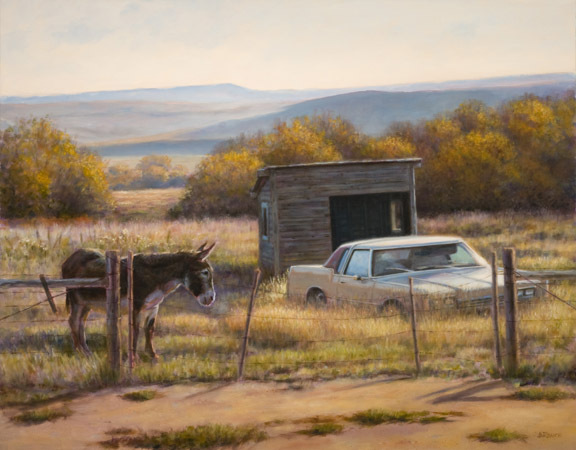 My paintings reflect the things I observe and interest me about the West of today–where Indians live in houses, cowboys drive pickup trucks, horses live in pastures, and the only wild buffalo are in Yellowstone Park. I think there’s still plenty of romance in today’s West. It is a beautiful place that I depict with fondness mixed with a realist view of its life and culture; with horses, cars, trucks, motorcycles, and the new and old existing side-by-side. All Images and Content Copyright © Steve LaRance, 2012. All Rights Reserved.